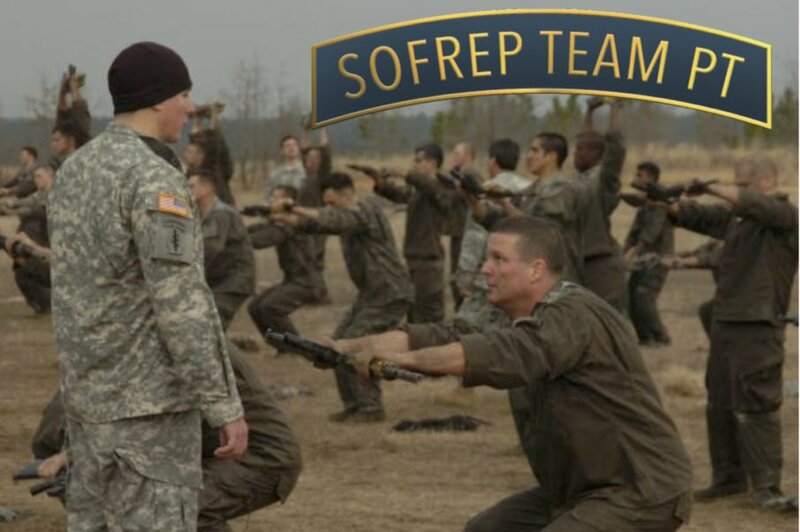 If you’re reading this perhaps you’ve already decided that Special Forces is for you and you’re getting ready to prep for Special Forces Assessment and Selection (SFAS) and a chance to attend the Special Forces Qualification Course or “Q” course. This article won’t deal with the ‘how-to’ tips that will help you get thru selection, although we’ll touch briefly on that subject. First, let us separate fact from fiction. We’ve all heard the wife’s tales and myths of the Special Forces soldier, right? “You have to be 10-feet tall and bulletproof.” “SF guys have to have the athletic ability of NFL players.” Yadda, yadda, these are total fabrications. There isn’t any big secret about passing selection, in fact to those of us who worked out there the saying used to be, “the answer is so simple that it is hard.” It is all about you the individual. Selection is 70 percent mental and 30 percent physical. You don’t have to look like an NFL linebacker to pass the course. I certainly didn’t and the vast majority of guys I finished with didn’t either. In fact, most of the guys who looked like that passed by the wayside, it becomes simply a matter of mind over matter. You will have to want it and won’t let anything stop you from reaching that ultimate goal. That may sound a little simplistic but that is it in a nutshell. There will be times when you are exhausted beyond belief, between either selection or the Q-course and that is when the SF guys get separated from the other guys who thought they wanted to be there. Selection is a test of will, nothing more. Don’t let your mind play tricks on you and focus only on what you’re doing today. Get thru the day and don’t worry about what comes tomorrow. That doesn’t exist. You’ll get no feedback from the cadre other than the stock “do the best you can”, and I for one think that’s the best way. Special Forces doesn’t want guys who need constant reassurance. They want soldiers who will go the extra mile and keep going on their own. The extra mile is a good place to go back to the being fit part. Don’t come to Selection fresh from being a couch potato. There are plenty of guides of how to properly prepare for the rigors of the course and they all will get you into the arena. You don’t have to be the fastest runner, but it certainly won’t hurt. But the biggest obstacle in your path is your rucksack. Soldiers who can strap the big pain pill on and continue to drive on are what the cadre are looking for. 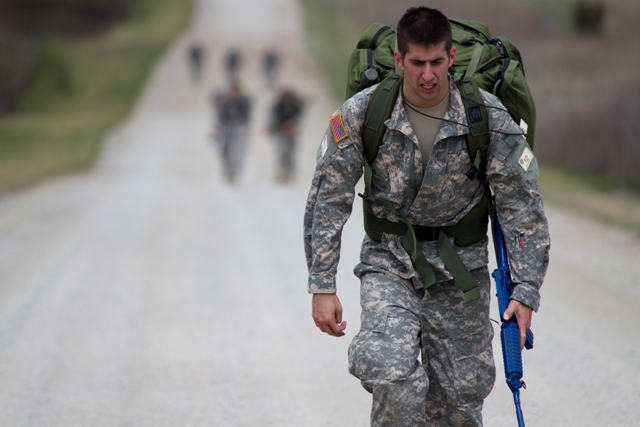 Soldiers who came from a light infantry or a Ranger battalion will have already mastered the art of rucking for long distances. For soldiers coming from a different background, that is where they are sailing into uncharted waters. And that is where the will to continue comes in. Even the most hardened troops get worn out and tired, that is what the course is designed to do. I recall the adage that fatigue makes cowards of us all is quite telling but not entirely true. The Special Forces soldier won’t give in to his fatigue and keep on going. If you allow doubt to creep into your mind, you are already defeated. In my post-SF life, I’ve had the privilege of covering the NFL and one of the most intriguing people I’ve met is Bill Belichick the coach of the New England Patriots. He has stated that if a player is thinking about retiring, then he’s already retired. It is the same thing. And another thing, don’t worry about the instructors. Too many times I saw candidates withdraw because the lack of feedback from the instructors they took as a sign that the instructors want them to fail. Nothing could be further from the truth. They’ve been where you are and experienced all the same things. They want to see you succeed. But only if you meet the standards. Then they’ll be happy to be standing next to you in the Regiment. To interject a personal note, I went thru the Q-course before there was a selection course (yes I am really dating myself here). So, when I was assigned there as an instructor, I had to go thru the next course with five other already tabbed SF guys. It was fresh off a deployment to Honduras where I caught dysentery and lost about 25 pounds. It wasn’t the most fun time of our lives but there were moments. As we climbed into the truck to go to the land navigation course, one of the candidates asked why already tabbed SFers were going thru the Selection course. It was a question we weren’t prepared for. But one of our guys, I believe it was Art Ebinger who said, “NASA is sending up three SF guys on the next Space Shuttle launch, and our training begins here with Selection and then we’re off to astronaut training. You could have heard a pin drop. I had to look out the back of the truck to keep from breaking up laughing. While the technology will continue to change and evolve for our Special Forces, the one thing that doesn’t change are the men who wear the Green Beret. If you have it in you to succeed, nothing will stand in your way. It was the best time of my life, the years I spent in SF, and many of the men I served with back then, I’m still close to today. You’ll make friendships that will last a lifetime.